Paul (49) is autistic. During the week he lives in a collective and every other weekend he stays with his mum. He has a terrarium in his living room with two reptiles. He works for the parks department and is secretly in love with Carol, who is 25 years younger. One of the reptiles ate the plastic plant and died, the other one has gone missing. At town hall, where Paul is allowed to use the bathroom because he dislikes Dixies, the ladies and gents signs have been switched. This causes a lot of unbearable confusion. And on top of this, everybody mispronounces his name. Pauwlis a realistic, moving and funny account of the impediments and enrichments of a life with autism. 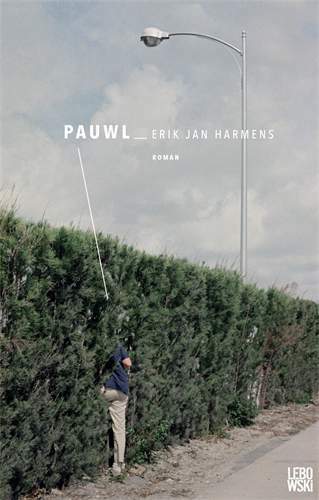 After Hello Wall Erik Jan Hermans again has written a novel that comes straight from the soul. My name is Paul. People often have diffi culty pronouncing my name. Th ey’ll say ‘Pal’. Or like this, ‘Powl’.